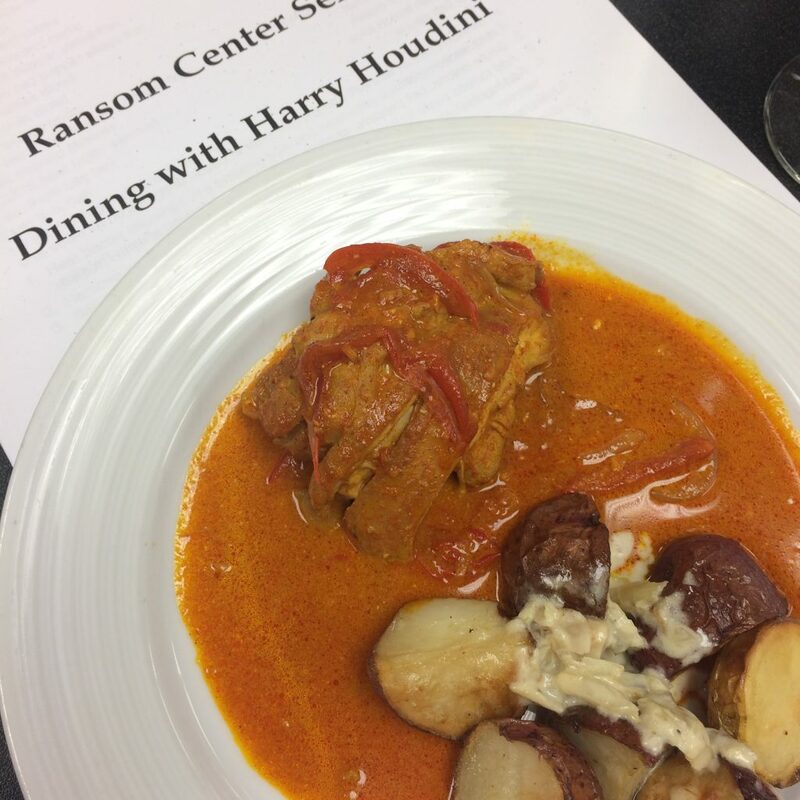 The Harry Ransom Center partnered with Central Market to present “Dining with Harry Houdini,” a cooking class inspired by the life of the legendary performer and stage illusionist, on Sunday, October 16, 2016. 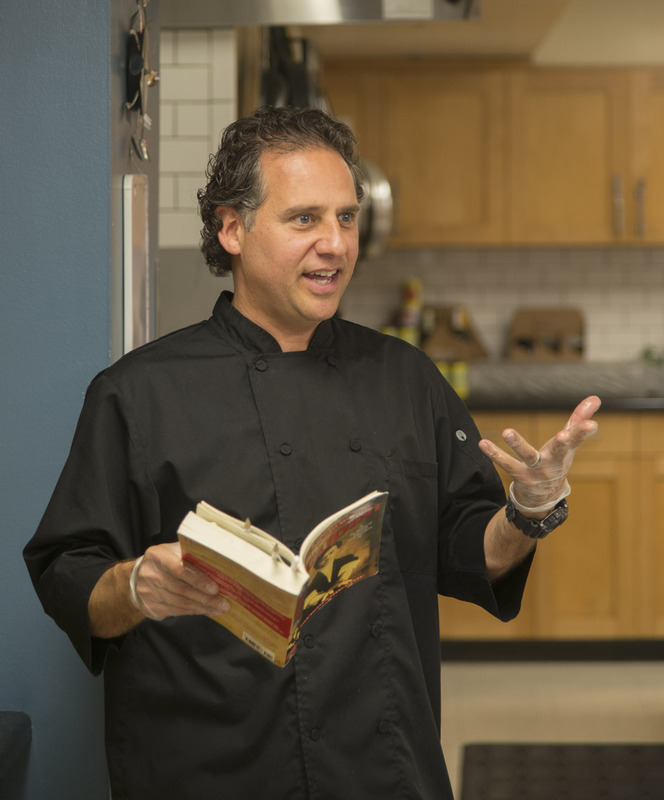 Louis Ortiz, Executive Chef at Austin Independent School District, designed the menu, which drew inspiration from Houdini’s Hungarian heritage. 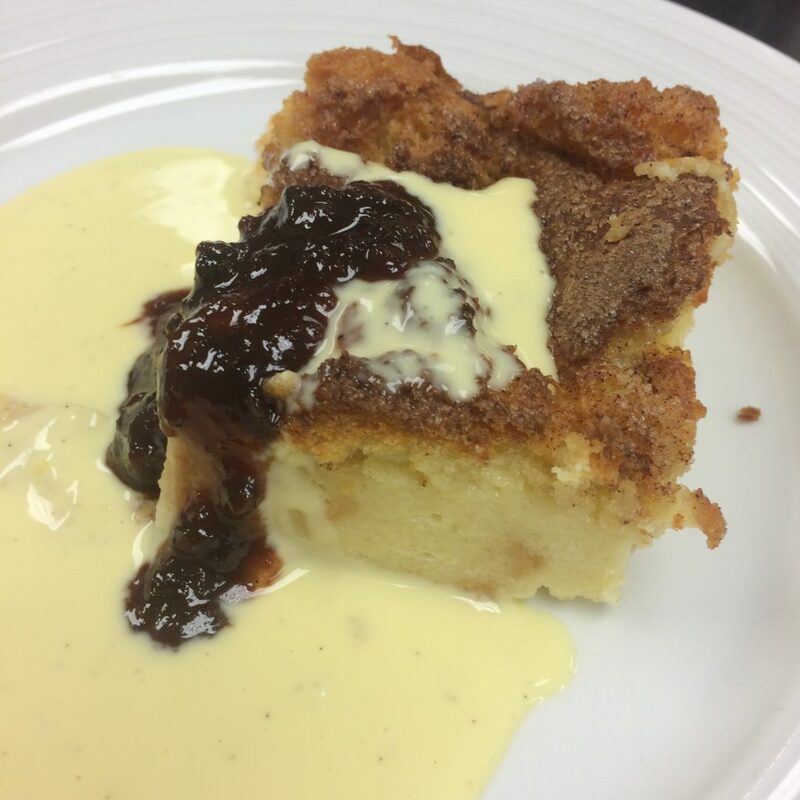 Thirty-five guests enjoyed a three-course menu of chicken paprikash with fennel potatoes; Hungarian goulash with spatzel; and custard bread pudding with cherry sauce. This October marks the 90th anniversary of Houdini’s death. To prepare for the class, Ortiz read The Secret Life of Houdini: The Making of America’s First Superhero, and he shared some of his favorite quotes during the event. Eric Colleary, Curator of Theater and Performing Arts at the Ransom Center, gave background on Houdini and his archive, which resides at the Ransom Center. Colleary states “Food is what connects people in the present and the past. It connects all the senses. You can find recipes, menus, and reminiscences of food throughout the archives. 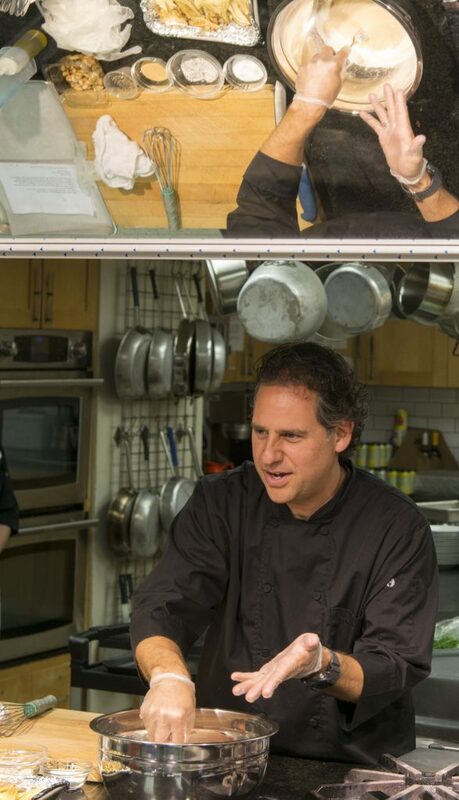 These recipes were some of Houdini’s favorites, and by getting to taste them, you might be able to get a sense of who he was beyond the legend.” Among the attendees were Ransom Center members, a person writing a Houdini book, and even a magician, who surprised the class with an impromptu handcuff escape! 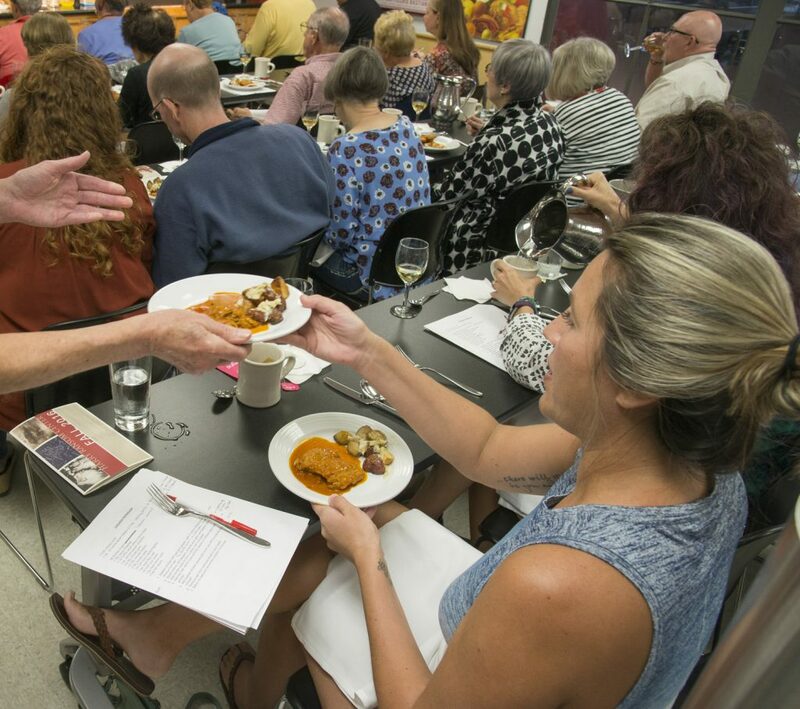 Since 2011, the Ransom Center has collaborated with Central Market and Ortiz to develop cooking classes inspired by past exhibitions and topics such as “Alice’s Adventures in Wonderland,” Tennessee Williams, “Gone With The Wind,” and World War I. To commemorate the 90th anniversary of Houdini’s death, the Ransom Center is hosting a series of programs, including a performance of magic and mystery with Austin-based theater company The Hidden Room on October 31. A sampling of materials from the archive has been digitized and is available online. Visitors can view a display of materials from the Houdini archive in the Ransom Center’s lobby through November 6. What a cool event! Louis Ortiz is such a Master! Love the photographs.